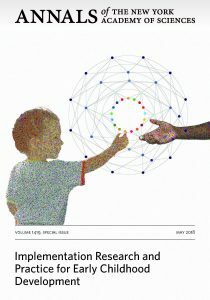 Papers authored by global researchers and practitioners in the field of Early Child Development, including academicians, funders, think tanks, UN agencies and non-governmental organizations, cover topics related to costing and financing interventions that support ECD, shaping demand, supporting ECD in fragile contexts, capacity building, and transitioning to scale, with global programmatic experience. Science has demonstrated that while genes provide the blueprint for the developing brain, a young child’s environment shapes early development and lays the foundation in a relatively short period of time for a lifetime capacity to learn, adapt to change, and develop psychological resilience. Infants and children who do not receive adequate nutrition, stimulation, learning opportunities, care and protection early in life tend to have lowered cognitive, language, and psychosocial outcomes. Nurturing care is necessary for children’s healthy development, yet there is little understanding of how best to deliver these interventions across the full range of existing systems and in a wide diversity of settings. Implementation research is central to understanding context, assessing performance, improving quality, facilitating systems’ strengthening, and informing large-scale use and sustainability of interventions. The intent is to understand what, why and how interventions work in real-world settings and to test approaches to improve them. Sign up to receive updates on publications, webinars, events, and other learning opportunities related to Implementation Research & Practice for ECD. The Early Childhood Development Action Network and NIEER announce a webinar series exploring implementation research and practice for early childhood development, based on the recent Annals of The New York Academy of Sciences Special Issue Implementation Research and Practice for Early Childhood Development. This webinar, featuring Katie Maeve Murphy, Hirokazu Yoshikawa and Alice J. Wuermli, co-authors of the article recently published in the ANYAS Special Issue, focused on the challenges, opportunities and realities of providing early learning opportunities for young children living in conditions of war, disaster, and displacement. Research finds these children are at high risk for developmental difficulties that can follow them throughout their lives; yet implementation of ECD programming in humanitarian settings remains sparse. Watch the webinar here. Listen here for the audio version only. This webinar, moderated by Aisha Yousafzai, featured NIEER Co-Director for Research Milagros Nores, Ph.D., an editor for the ANYAS Special Issue, and Nirmala Rao, Ph.D., a University of Hong Kong professor of early childhood development and education. Watch the webinar here. Listen here. The opening webinar in a year-long series features Special Issue editors Aisha Yousafzai Harvard University; Frances E. Aboud of McGill University; and Pia R. Britto of UNICEF, exploring the central role implementation research plays in understanding context, assessing performance, improving quality, facilitating systems’ strengthening, and informing large-scale use and sustainability of early learning interventions. Elizabeth Lule of the Early Childhood Development Action Network (ECDAN) will introduce and moderate this conversation. Watch the webinar here. Listen here. 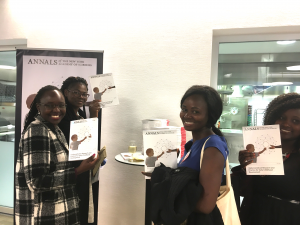 The ANYAS Special Issue Implementation Research and Practice for Early Childhood Development was disseminated at the event. ECD Implementation Insights Blog NEW! The National Institute for Early Education Research (NIEER) is proud to partner with the Early Childhood Development Action Network (ECDAN) on this blog series exploring aspects of implementation research. 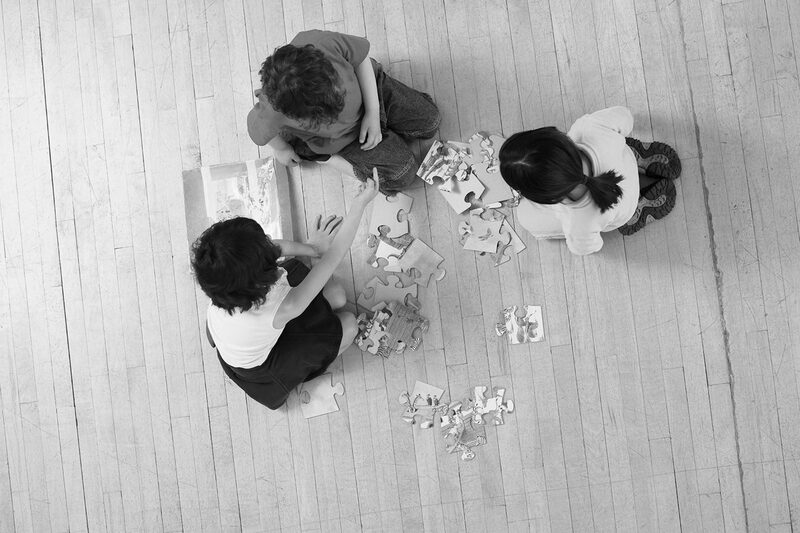 ANYAS Special Issue editor Aisha Yousafzai, an Associate Professor at Harvard University, explores the important role implementation research plays in early childhood education policy. Most of us want to tell the world about the success of our early childhood program. We especially want to tell others how we built it into a good program, the difficulties we overcame, and the lessons learned. We hope our experience will help others avoid problems if they are forewarned and have some solutions at hand. But it’s more than just that. Annals of the New York Academy of Sciences is one of the oldest scientific journals in the United States, and among the top five cited multidisciplinary scientific serials worldwide. Continuously published since 1824, Annals is the premier publication of the New York Academy of Sciences, offering commissioned review, perspective, and commentary articles in several topical areas, in addition to original research articles in select areas of biological sciences. Although primarily focused in biomedicine and biology, the scope of Annals extends into diverse fields such as psychology, anthropology, and philosophy. Edited in consultation with experts in their fields, Annals is rigorously peer reviewed and available in over 11,000 institutions worldwide. Read more at the ANYAS website.